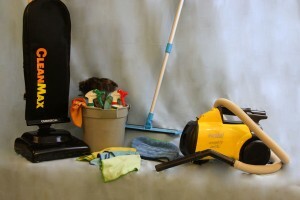 Charlotte house cleaning services that utitilze eco-friendly products. Minit Maids not only cares about the cleanliness of your home, but also your health as well as the well being of our employees! As cleaning technology has evolved, our cleaning practices and products have become eco- friendly! This decision was based upon our concern for both the long term affects these toxic irritants could cause our employees who use them daily, in addition to our commitment to our clients, your families and your pets. *Minit Maids uses environmentally safe solutions from Envirox- The only EPA registered Hydrogen Peroxide Sanitizer/Virucide. These products are PH neutral and safe on all water-safe surfaces. Our All-Purpose cleaner by Better Life cuts through grease, grime and soap film! With botanical extracts of Clary Sage & Citus, it’s packed with 100% plant-derived cleaning agents. Our cleaning solutions are concentrated and dispensed through a dilution dispensing system reducing waste and shipping cost! If you choose to have Minit Maids use your preferred products rather than the ones we provide, please remember we follow OSHA’S safety standards. They must be in manufacturers’ original container. If you would like an alternative to bleach products for any mold issues in your home, please call Minit Maids at (704) 367-9931! We are happy to share some of our ideas with you!